Hollis H. “Pops” Moore, 84, a longtime resident of Dover Plains passed away on Saturday, March 25, 2017 at his daughter’s home in Dover Plains. Mr. Moore was a bailer for Kimberly Clark in New Milford, CT for 21 years retiring in 1988. He later worked at the Country Corner Restaurant in Sharon, CT and as a custodian for the US Postal Service in Millerton, Amenia and Wassaic, NY. Born on August 18, 1932 in Ellenburg Depot, NY he was the son of the late Arthur and Ethel (Blair) Moore. On September 26, 1953 in Ellenburg Corners, NY he married Esther M. Burnell who predeceased him on February 16, 2012. Mr. Moore was an avid Mets Fan. He also loved Country and Blue Grass Music especially The Gibson Brothers from Ellenburg Depot, NY. Mr. Moore is survived by his daughter, Bonnie Colgan and her husband, James, of Dover Plains; a son, Stephen Moore, Sr. and his companion, Missy Law, of New Milford, CT; a brother, Richard Moore of Ellenburg Depot and three sisters, Elsie Oliver and Dawne Moore both of Malone, NY and Hazel Vievia of Schenectady, NY. 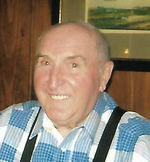 He is also survived by four grandchildren, Shane Colgan and his wife, Camille, of Saranac Lake, NY, Holly Whaley of Dover Plains, Stephen Moore, Jr. and his wife, Jill of Altona, NY, Jessica Mead and her husband, Kenneth, of Ellenburg Depot, NY; two step grandchildren, Alan Law and his wife, Jessica, of Plattsburgh, NY and Shawn Law and his wife, Karli, of New Milford, CT and eight great-grandchildren, Layne and Landon Colgan, Reagan Whaley, Austin, JoAnn and Justin Mead, Kaylee and Kenzie Moore and two step great-grandchildren Ashley Webster and Asher Law. He is also survived by his beloved dog, Bella Mae. In addition to his parents and wife, Mr. Moore was predeceased by two brothers, Maurice and William Joseph Moore; a great granddaughter, Karina James Colgan; a grandson-in-law, Jason Whaley and a good friend, Justin Webster. To send flowers to the family of Hollis H "Pops" Moore, please visit our Heartfelt Sympathies Store.